We work with young people and families in trouble, providing early intervention, targeted and specialist support services to those in crisis, leaving care, missing from home or with substance misuse or mental health problems. Services support people no matter what their situation – and have demonstrated a high success rate. Building resilience through participation, healthy relationships, positive lifestyles and access to development opportunities. Tailored interventions including support for Children in Need, rapid response and therapeutic support for victims of domestic abuse. Responsive and needs-led services focusing on cause rather than behaviour, as well as research through our Dawes Unit. Holistic support for children and young people whilst in care and after to improve their life chances. Support for young people who go missing and a range of solutions to prevent and stop exploitation. Targeted services with a holistic approach, supporting young people to address the factors driving behaviour and build personal resilience. Wide-ranging services from crime diversion and prevention through to intensive supervision and surveillance and reparation. 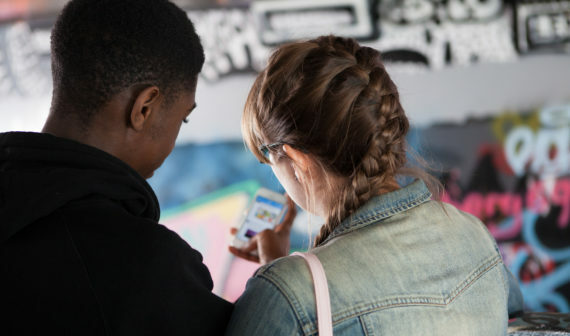 Catch22 delivers a wide range of integrated support services designed to help resolve complex difficulties experienced by young people and their families/carers. Support is provided to people who find themselves in a range of circumstances; they may be missing from home or have emotional, housing or substance misuse issues. We also support families where parents/carers are experiencing domestic abuse, substance misuse, emotional issues, homelessness or unemployment. Whatever the situation, we work alongside young people and their carers to find a way of stabilising their lives. Read our two-page Young People and Families’ Overview to find out more about our approach. Catch22’s families services continue to support the troubled families agenda – and demonstrate high success rates. family intervention, including anti-social behaviour. On referral a whole-family assessment is conducted, identifying areas requiring support and establishing an outcomes-focused plan in agreement with the service users. Catch22 key workers form trusting relationships with young people and families under their care, encouraging them to progress and working in response to individual needs. The support plan is consistently monitored and reviewed, and service users are challenged to remain engaged with the agreement. Key workers work in close partnership with other local agencies to ensure the full package of care required is available. Support is provided for 6 to 12 months, with a plan for independence put in place at the end of the work and follow-up assessments conducted six months after closure. Contact us if you have an enquiry about Catch22’s Young People and Families services and a member of the team will get back to you as soon as possible. Talk to us about how we can work with you to deliver services for young people and families.